It was a case of Women of Steel by name, Women of Steel by nature as Celtic were unable to break down a well organised and resolute Motherwell at K Park. The home side went into the game looking to build on last week’s 5-1 victory away to Spartans whilst the visitors were hoping to break a two game losing streak after an impressive first half showing against Hibernian ultimately ended in a 4-0 defeat last week. The opening exchanges saw Celtic have the majority of the possession but early efforts from Kathleen McGovern and Cheryl McCulloch were blocked by Motherwell’s centre back pairing of Kirsten Ralph and Georgie Rafferty, a feat that was to be repeated throughout the game as Motherwell bodies block shots from all angles throughout the game. Although at times the act of clearing the ball from the box seemed a little chaotic, especially from Keeva Keenan’s first half bouncing long throws, the visitors were still dangerous on the counter and if it wasn’t for a heavy touch when through on goal from Lori Gardner they might have snatched the lead on the 21st minute. It would be Celtic though who would continue to dominate the play and the first clear chance of the game fell to McCulloch on the 26th minute after McGovern knocked a cross from the right into her path, again though the striker was foiled by another diving Motherwell body, this time in the form of a well timed last ditch tackle. Soon after McGovern was again denied by a block from the visiting defence. With half time approaching McCulloch was put through for another opportunity but this time she was thwarted by an on rushing Morgan Hunter in the ‘Well goal who managed to make herself big enough to see the shot pushed by the post. As the second half started it appeared that a stalemate was inevitable with little action of note until the introduction of Josephine Giard to Celtic’s left-hand side on the 67th minute. She was soon causing problems and six minutes later she won the ball in midfield and proceeded to push forward only for Rolph to again block the ball’s path towards goal. 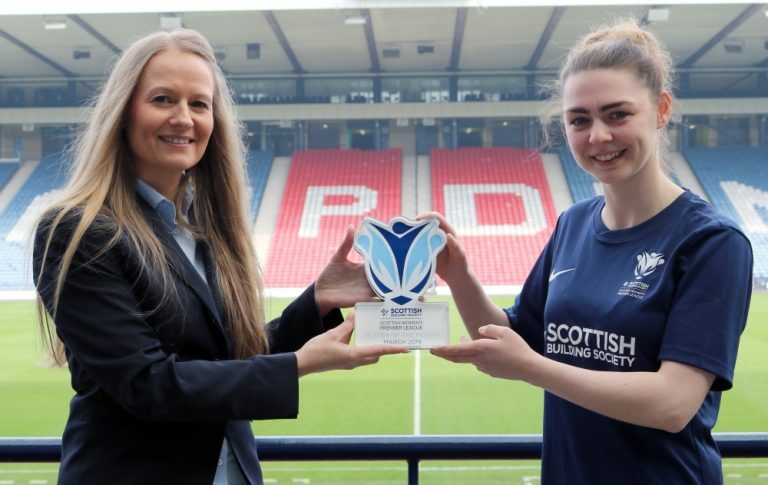 Celtic’s best chance of the game though came with eleven minutes to go, a long range effort from Rachel Donaldson was parried back out into the area by Hunter but as the ball fell to Natalie Ross she could only skew her effort wide. This latest missed opportunity seemed to spur the visitors on with the midfield trio of Katie Rice, Kerry Montgomery and Chelsea McEachran constantly offering options on the counter. On the 86th minute a smart set piece move saw a long range effort from Rafferty deflected over the bar but the home side still had one chance to spurn when substitute Kat Smart’s low cross was pushed wide by McGovern. In the 90th minute Motherwell could have won it, a speculative looping shot from Gardner went over the head of Celtic keeper Megan Cunningham but it bounced just wide of the far post. Whilst Celtic will feel they created enough chances to win the game the resoluteness of their Lanarkshire visitors, epitomised by the hard work of centre backs Ralph and Rafferty, meant they were more than deserving of a point in this Friday evening encounter.